Established in 1976, the Blue Sea Hotel St Georges South is a family-run luxury hotel in the serene St Georges South, Corfu, Greece. The hotel also houses a swimming pool and is located just 100m away from the beach. The hotel is known for its warm and welcoming staff. The hotel’s proximity to the town of Corfu makes it an ideal destination for vacationers looking to enjoy a relaxing as well as a culture-rich Greek holiday. 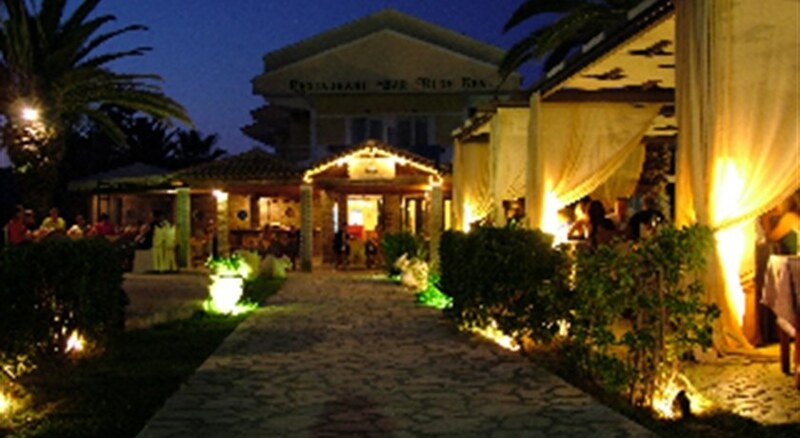 The property also has a restaurant that serves a wide range of international and local Greek cuisines. There is also a poolside bar that serves snacks, local wines and signature cocktails. The Mediterranean climate makes it an ideal destination for people looking forward to a sunny vacation. The Blue Sea Hotel St Georges South is located 28.9km away from the Corfu International Airport. The nearest beach is just a 100m away. The town of Corfu is about 25km away from the hotel. Apart from that, the local supermarket is 50m away and the town’s bus stop is around 150m away from the hotel. The 10th century historic village of Argirades is located 4.5km away from the hotel and Lake Korrision is 7.6km away from the hotel. The hotel can arrange car rentals for guests’ local outings and airport pick-up and drop. The Blue Sea Hotel St Georges South houses tastefully designed, comfortable rooms with essential amenities required for a comfortable holiday. 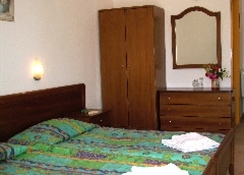 The hotel offers a total number of 42 rooms for its guests. The rooms are equipped with flat screen TV, air conditioning, safety deposit boxes and a mini-fridge, among others. The bathrooms are fully equipped with all the amenities and stacked with essential toiletries. The rooms have an attached private balcony, which comes with a breath-taking view of the gardens. The Blue Sea Hotel St Georges South houses a restaurant that serves a variety of Greek and international cuisines. The hotel also has a poolside bar that serves a wide range of local wines, alcoholic beverages and signature cocktails. 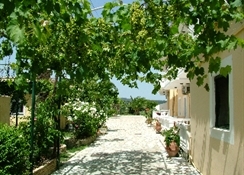 The proximity of the hotel to the town of Corfu town allows the guest to try out food at local restaurants. The roads close to the hotel dotted with bars and traditional taverns that serve alcoholic and non-alcoholic beverages. The outdoor pool of the hotel is a great way to have fun. The poolside bar organises entertainment nights regularly. 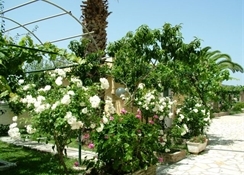 Tourists looking to experience the locales of Greece, can take guided tours organised by the hotel management. The tour will also include many locations where the award winning British TV series - The Durrells’. Apart from that, the location of the Blue Sea Hotel St Georges South makes it easy for its guests to indulge in activities like cycling, walking, nature walks at the Lake Korrision, a nature reserve. Also, the hotel’s proximity to the town of Corfu allows guests to experience the Greek culture and indulge in local sightseeing. For those who like sports and other related activities, the Blue Sea Hotel St Georges South has billiards, snooker, parasols, etc. Guests can also indulge in sunbathing at the local beach, which is just 100m away from the hotel.